I’ve mentioned before that I didn’t think I possessed any talents or gifts. I believed that I was incredibly below average. I had come to this general consensus based on my own evaluation which was solely based upon how I measured up to others. I surrounded myself with people who I felt I deserved based on the poor opinion I held of myself. I surrounded myself with people who didn’t make me feel bad about where I was in life. I surrounded myself with people who never challenged me to be better, do better, be more and do more. I lived a life that was comfortable and safe. I have learned that I am my OWN person. My life, my upbringing, the things I’ve been thru are NOT the same as anyone else’s. I do NOT know what they’ve been thru and vice versa. Did you know that one third of American’s (100 million) are dissatisfied with their life. I knew I was one of them, even though I didn’t openly admit it. Why? Because I didn’t know how to change that, even though I knew I wanted to. Beachbody has opened up so many doors in life and to my soul, that has helped me discover so much about myself, about life, about others, all of which has helped me constantly improve my life daily. When I was a child, I dreamt of being a teacher. I used to spend hours, pretending to be a teacher. If I had a friend over, you bet that was what we were doing. I was the teacher and they were the student. I was always bossy and took control and was a leader. I was constantly getting in trouble for being “bossy”. I was reprimanded in school and at home. My ideas were shot down. I was not allowed to have my own thoughts or create myself. I finally left home at 15. My parents never encouraged receiving higher level of education. Once I left home, due to having no license, no financial support and a series of bad decisions, I never went to College. I bounced around from job to job. I even spent 18 months of my life being a teacher to toddlers at a church school. I hated it. Because I had no experience in life, no college degree to back anything I said, I allowed myself to feel that my opinions and ideas were not important and carried no value or weight. I felt beneath others. I allowed myself to feel like less of a person because of all of the mistakes I had made. I labeled myself as a failure. I didn’t think I could ever offer anything of use. After all, I’d never completed college, had never owned a business or done anything extraordinary. I felt sorry for myself and blamed my parents. The other day I shared my most recent blog post with with everyone on TEAM RELENTLESS. 2 of my coaches who read it mentioned that they always enjoy reading my blog posts and wish they could write the same kind of things, but it would take them days to do so. This is something that is so common in life – very human nature. Very often, people look at someone else or their achievements and start sizing themselves, their life, their skills, up against that person and often times instead of pointing out the similarities, they focus on their inadequacies and convince themselves that they could not produce something of the same quality. When I started this blog in December 2012 I had NO clue what a blog was really about. I used it as basically a way to pass on information. Like a online cork board to post announcements. My writing abilities and use of what a blog was intended for was at an amateurs level. I am not one of the most talented bloggers. My content is not super high quality, but it has greatly improved. I have realized that a BLOG is basically an online diary, something that allows me to free my mind of all my thoughts, not the same type of thing as Facebook. My style, my abilities, (I still ramble) and my topics have greatly improved. It still takes me a long time to get it right. My last post took me 3 days to get right before I felt comfortable clicking on the PUBLISH button. I refuse to compare my blog to someone else’s. After all, this is MY blog, my thoughts. No one can tell me it’s right or wrong. You don’t know what goes on behind the scenes. 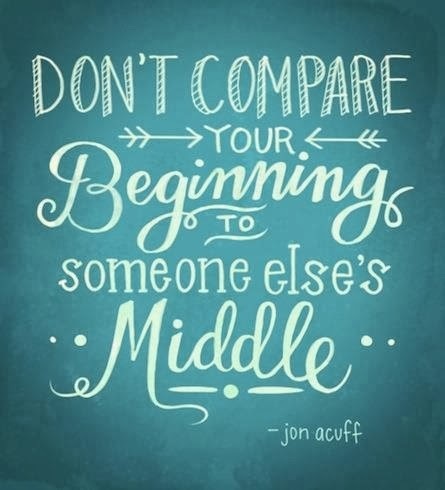 Don’t compare yourself to anyone else and think it was any easier. You can do anything. You can become better with practice. What you see me post NOW, has taken 13 months of experience to work up to. Even after all that time, I still don’t just type my thoughts out in an hour. I have learned to take notes about things I want to share, and then work on them piece by piece. But to someone reading it, they not see the hours or many rough drafts that there were. I shared this with my team, and now one person has started her own blog. Remember, even the most experienced person had a day 1 and started out an amateur. Don’t compare your marriage to anyone else’s. Don’t compare your body type to anyone else’s. Don’t compare your weight loss results to anyone else’s. Don’t compare your career to anyone else’s. Don’t compare your financial status to anyone else’s. Don’t compare your kids to anyone else’s. Don’t compare your life to anyone else’s. Because you don’t know what goes on behind the scenes. You don’t know the struggles others have or are going thru that are not apparent to the naked eye. You don’t know how long they’ve been working for something that you may have just started working for yourself. Don’t waste your energy worrying about others. If you want something. If you want to improve some part of your life. Start focusing on finding out HOW to do so, not convincing yourself you can’t! Don’t let your comparison of yourself to others prevent you from even trying yourself because you automatically convince yourself that you will never be like them or that you could never become better. I have been able to get my inner most thoughts out and not only inspire, but teach others simply thru sharing the thoughts in my head. It’s like an online diary, a way to clear my thoughts and allows others to peer into my heart, mind and soul. It has been rather therapeutic. Thru the countless hours that I’ve sat behind this very laptop and poured out my thoughts for all to read, leaving myself incredibly vulnerable, I have had so many “ah-ha’ moments and self discoveries. Recently I have discovered that I do have a gift, a talent, a purpose in life and that my dream wasn’t shattered all because I don’t have a college degree and didn’t fulfill it in a traditional way. And I have also recently discovered a long-term goal, that has been staring me for a while now, but I just hadn’t processed it, identified it, realized it, been ready to acknowledge it or been able to form into words. I had been allowing my own personal demons, that voice of doubt, the echo of shattered dreams to prevent me from operating at my full capacity. If it weren’t for Beachbody. If it weren’t for having countless people who now believe in me for the first time in my life. If it weren’t for finding my why, which propels me and pushes me everyday to not give up, to keep focused, to keep getting up each time life knocks me down. If it weren’t for Carl Daikler who encourages us ALL to engage in personal development, there is no doubt, I’d still be living as a statistics – only belonging to that 1/3 of the nation’s population who is unhappy with their life, who they are and where they are in life. I realize now, what I didn’t realize for the first 31 years of my life, that I do have potential. I do not need a hundred thousand dollar degree to achieve extraordinary things or make a difference in this world. I NO longer feel that all of my mistakes that may be considered failures to society are something to be ashamed of. I am NOT the only one who has made mistakes. I NOW see my mistakes (My 2 failed marriages, having 3 children from 3 different marriages, my failed relationships with my family and my husbands family, my poor financial decisions in the past, my years of alcohol and drug use, my not going to college, my selfishness that hurt my children when I was younger, or the fact that it took until now to find my way in life) as a key to teach and help others which is my gift to the world. My goal is to help others. Not with some fancy invention. Not with some get-rich-scheme. But by using MY failures to help teach that no matter where you came from, what you’ve done, how many people you’ve hurt, how you were raised, you CAN and WILL have a better life. No matter how many people abandoned you, how many people told you that you were weak, stupid, fat, ugly, talentless, etc. I will never give up on you. I will believe in you. I will never leave your side. I will be there to pick up the pieces. I will love you no matter what. I will never hurt you or break our trust. 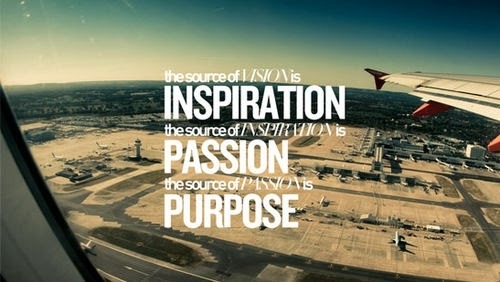 My desire is to help you develop the right attitude, increase your self-esteem, learn more about your strengths, find your reason you were created, find your gift and hidden talents, tap into your passion, become more in touch with your purpose and develop skills so you can be all you can be. I realize now that I am fulfilling my childhood dream of being a teacher. I am teaching others everyday about fitness, nutrition, and how to grow as a person. I didn’t need a degree to teach what I am teaching. I don’t have to teach children or college students to feel that I am living my dream of being a Teacher. Your dreams are within your reach. Sometimes your dreams have many different avenues in which they can be achieved. 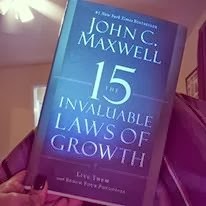 Last night as I was reading John C. Maxwell’s “The 15 Invaluable Laws of Growth”, it hit me. I discovered a long-term goal. Something that had been staring me in the face. Something that I had thought about. Something that people had even suggested, but I brushed off, because I didn’t think I was qualified. I didn’t share it with anyone because I was still trying to process it. I was tired. I wanted to go to bed, but something told me to go ahead and watch this video that my friend Danielle had told me about. Even though I was tired and it was 20 minutes long, I watched it. While I was watching it, it all made sense. It was like I was supposed to watch it right then and there to validate everything I had just been thinking. My long term goal (not tomorrow, or even next year. It could be when I am 40 or 50) is to write a book or become a motivational speaker to share what I have learned about life, how to believe in yourself, how to overcome anything past or present, how to find inner strength, how to succeed and how to enjoy life. So there it is. For all of the universe to see. I want anyone who is reading this to know that who I am NOW is NOT who I was the majority of my life. I did not become who I am overnight. It has taken years of failures, years of self-reflection, years or therapy, years of engaging in personal development, years of wanting to be better, and years of wanting more and having more and more people each day who believe in me. And it all got started with P90X, Shakeology and one person, my coach, Becky believing in me. That is it. Sometimes it’s all that it takes. Want to gain more depth and wisdom as a person? Want to learn how to overcome obstacles? Want to gain inner strength? Don’t wait for things to get better. People are anxious to improve your circumstances, but are unwilling to improve themselves; they therefore remain bound. You cannot change your life until you change something you do everyday. You have POTENTIAL. EVERYONE has potential. But in order to reach your potential you must grow. Growth does not happen automatically! Do you know where you want to be in life? 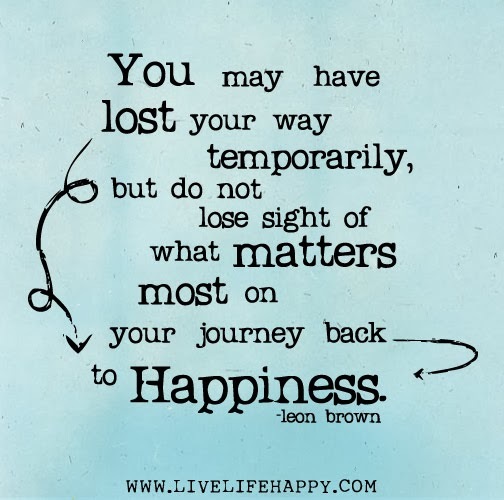 I may have spent most of my life wandering around lost, but have finally found my way and want to help shine the light and help you find your way in this life of uncertainty. 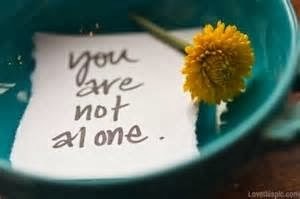 If you are looking for for a friend, someone who will never give up on you and want help, please do not hesitate to reach out to me. Be yourself. Build your own brand. Trademark yourself. Be different. 21 days to a new lifestyle!